I have been thinking a lot about making time to listen. With my recent return to college I have been feeling rushed all the time. I find the biggest challenge is knowing when to say no. 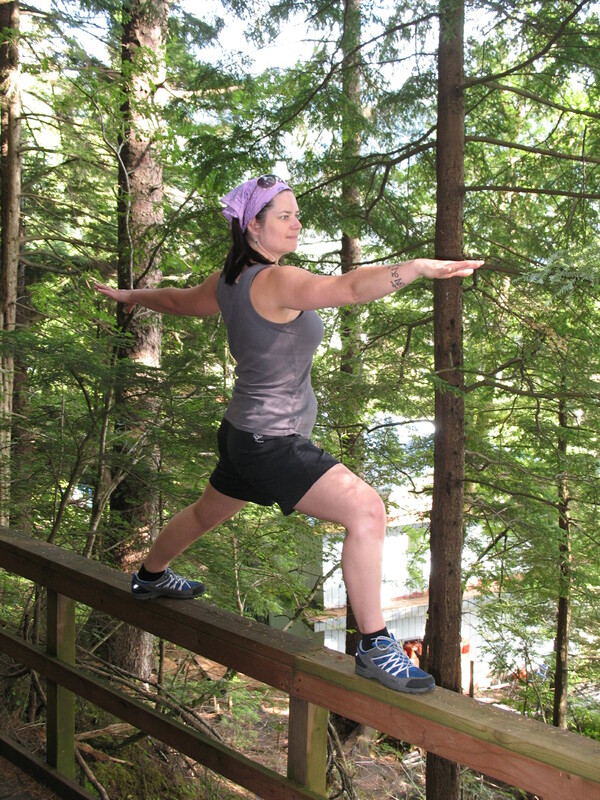 It is a constant balancing act between responsibilities and self-care. Where do I find the answers to my daily dilemmas? Often times I don’t find the answers, but through practice I am working to strengthen my connection to my ‘gut instinct’. Our bodies tell us the truth. When I stay in connection with not only my mind, but also my body, finding the answers to daily questions becomes second nature. Take a few moments to remember the last decision you made. Do you remember what you were feeling in your body during this time? Did you have a stomach ache, headache, neck or back pain, shortened breath, restless legs, itchy skin, tightening in the chest, change in breath…..there are a million ways our bodies communicate with us (and they are not always negative or uncomfortable). Our modern world moves so fast and uses so much technology that it encourages us to stay in our minds. The longer we stay in our minds without consideration for our bodies the harder it gets to reconnect. This is why yoga can be so emotional. Emotions are the way our body attempts to communicate with us. Through yoga asanas we bring the mind and body back into connection and practice using our whole selves in sync. This synchronicity is what will lead us to balance and toward greater wisdom. I am working on sitting still long enough to hear who I really am, to hold asanas long enough to join more securely the mind and body. Through practice I will know myself better and the answers I seek will materialize more organically. There will always be times in life when things are more rushed than we would like, but creating quiet moments not to think, but instead just to be, will lead us toward happiness and contentment. Finding balance is hard work! Some of you may know already that, Stu Bryson, my husband is a health writer for the Mayo Clinic. I am so proud of the work he does. He provides quality health information to the masses, in a format that is FREE! 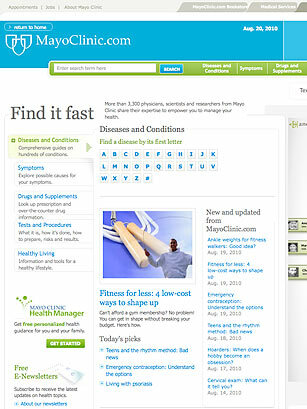 Time’s 50 Best Websites…..guess who is right at the top of the health category…….congratulations. “Doga. 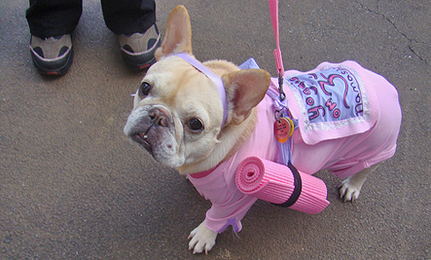 You bring your dog to class, do your poses, and encourage your doggie friend to practice along with you. Mantra: Today I decide to live my life with open eyes. Emotions define our experience of the present and deeply influence our memories. It can be scary to feel controlled by our emotions. As we get stressed out it becomes even more difficult to process emotions. So what is there to do? Well, I personally am trying to have a new relationship with my emotions. How am i doing this? First, I remind myself that I am not my emotions. They are something I experience, but they do not define who I am. Secondly, I try to ask myself what my emotions are trying to tell me. These ‘feelings’ are there for a reason and most likely there is something I can learn from them. For example, when I feel anxious and weepy it usually means I need to slow down, take a few things off my ‘to-do’ list and take deeper breaths. Thirdly, when an emotion feels completely overwhelming I work hard not to bury it, but instead recognize it, make note of it and remember that (like all emotions) it is temporary. I believe that is the most comforting thought of all. No matter how intense an emotion, whether bad or good, it is temporary. The temporary nature of emotions reminds us to tune in to our true selves. That part of us that is constant no matter what the external is up to. Your true nature is where you can always come home and find comfort. 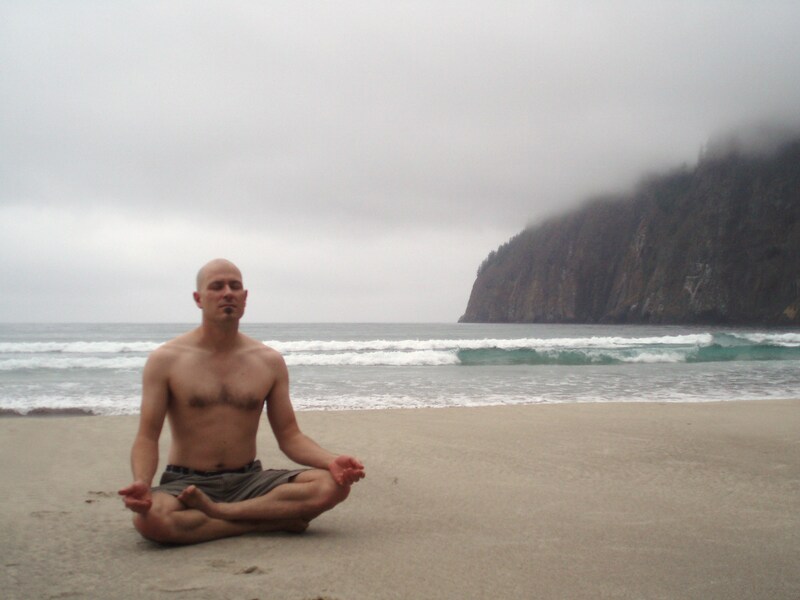 Hello to all you beautiful Wrangell, Alaska yogis. 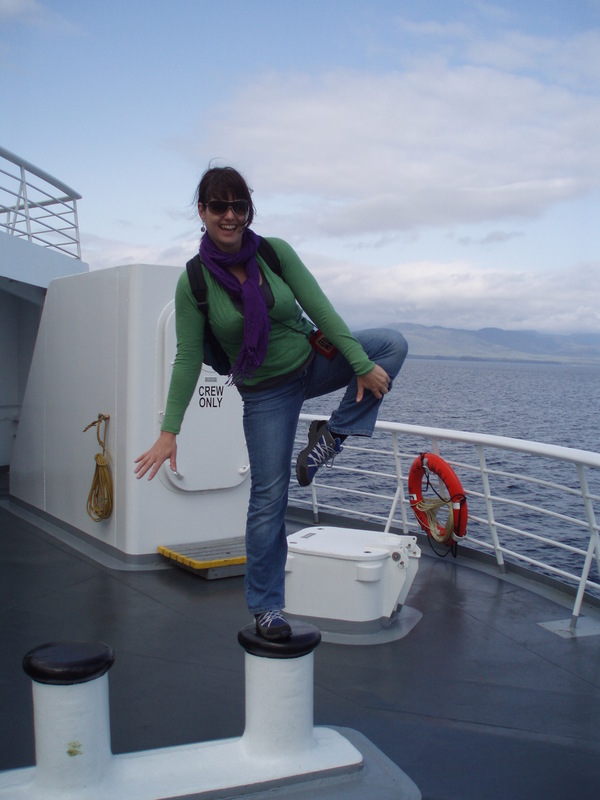 Thank you so much for attending yoga classes while I was teaching in Wrangell. I have sent the following items to the Irene Ingle Public Library: one year subscription to Yoga Journal magazine, Yoga For Every Body (With Over 35 Routines) – J.J. Gorrmley, and Yoga Journal’s Yoga Step By Step – Natasha Rizopoulos. I hope these items will help you and others keep your yoga practice going. Best wishes. After a couple whirlwind days back home, I finally feel able to breath again. I have had to practice what I preach in order to stay mentally and physically healthy. I was feeling pretty overwhelmed and my throat was even sore when we got home last week. At first I admit I cried, but with some gentle urging from my husband, I went to yoga class, wrote in my journal, ate comfort foods and tackled one task at a time. Each day my to do list got a little shorter and I was able to stand a little taller! I finally feel like myself again. It is amazing what a week of hard work and good nights sleep can do for the body and soul. I can not emphasize too much the importance of having a support network or the power of perseverance. Thank you to all those who provide support to those around them and thank you to all those who work hard to help themselves. It feels good to be back home after 24 days away. Responsibilities have been piling-up! I turn to my favorite stress busters; yoga, sleep, good food & doggy love. 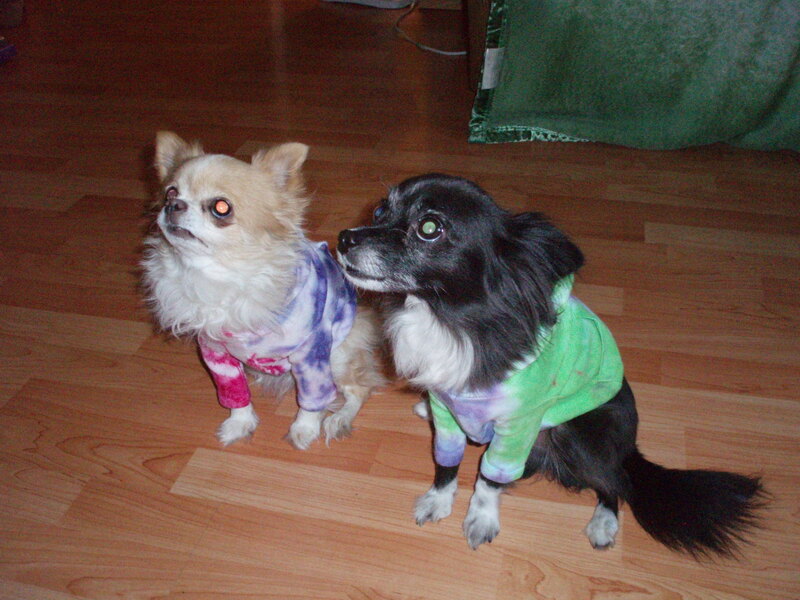 Below is a photo shoot of the puppies in their new duds from Alaska. Cloths are on, now where are the treats? 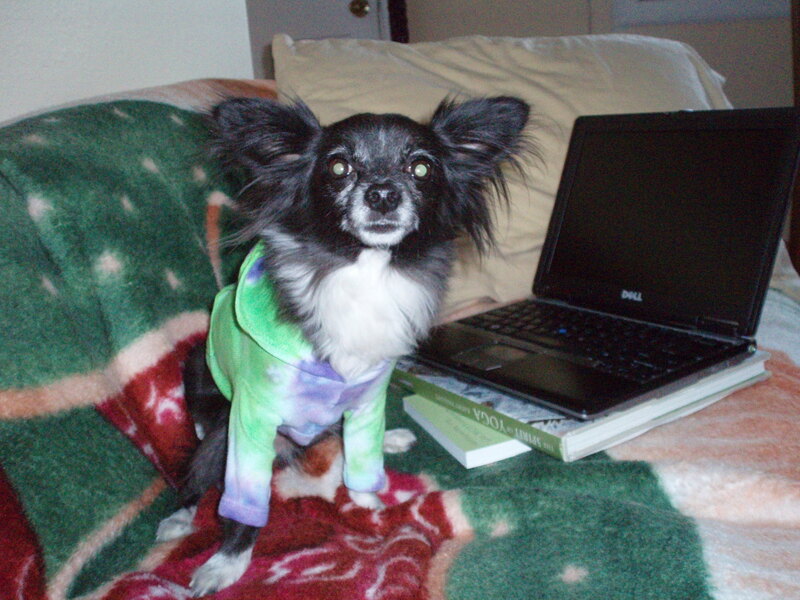 Tie-Dye hoodie & laptop...ready for school! 2:30 It is Friday midday and we are stuck sitting in a plane in Whitehorse, BC. Adventures in flying! Weather was bad and poor visibility prevented us from landing in Juneau. We left Wrangell, AK at 10am and planned to touch down in Petersburg, Juneau, Seattle and finally Bellingham. Who knows how many stops we have ahead of us now? Whenever flying, always; bring plenty of healthy snacks, empty water bottle (beg the flight attendant to fill ASAP), ear plugs, ginger chews, travel pillow and of course something to occupy your time. 5:30 finally landed in Juneau, but have missed our connecting flight, along with about 50 other people. 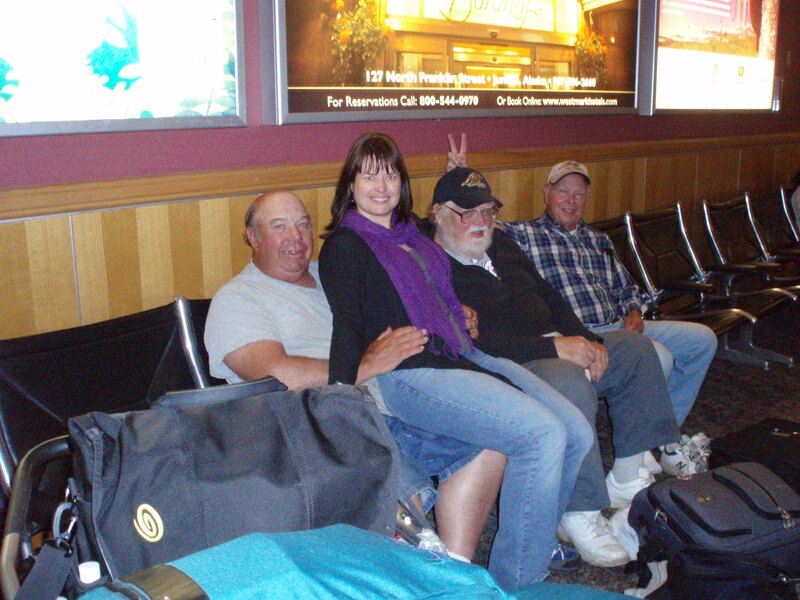 Below are some friendly guys from the airport. 8:30 OK…now it is Friday night and we still haven’t made it south. Juneau is our home for the night. Luckily a very sweet gal named Pat has taken us in off the street. She has given us a short driving tour of Juneau, bowl of ice cream, hot shower and a soft warm bed! OMG, I also have to mention she is driving us back to the airport at 4am. Sometimes peoples’ kindness just blows me away.